NEW DELHI: Finance minister Arun Jaitley on Wednesday said there is scope to rationalise goods and services tax (GST) and rolling 12 per cent and 18 per cent slabs into one as implementation of the country’s most comprehensive indirect tax reforms progresses. “I do concede that as it (GST) moves forward, there will be scope for rationalising the rates. There, probably, will be scope that the two standard rates of 12% and 18 per cent, after some time, could be clubbed into one. 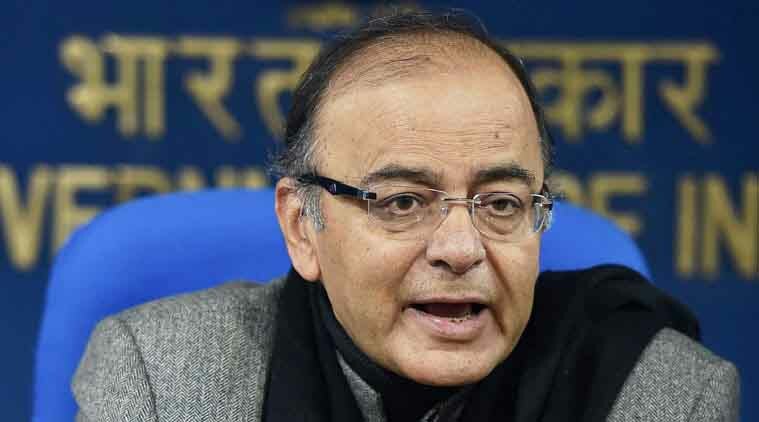 That is a fair possibility and a suggestion,” Jaitley said replying to debate on the two bills related to GST in J&K. Central Goods and Services Tax (Extension to Jammu and Kashmir) Bill, 2017 and the Integrated Goods and Services Tax (Extension to Jammu and Kashmir) Bill, 2017 were later passed by a voice vote. The current GST has 5 per cent, 12 per cent, 18 per cent and 28 per cent rates, plus one for luxury and sin goods. There are some that are zero rated, or nil rate. Jaitley said if the two rates had been merged into one its inflationary effect would have been high. “Therefore, we did not get into this exercise,” he said responding to criticism over several slabs in the GST rates. Jaitley said there can’t be a single slab in a country like India which has a large population below poverty line (BPL). As an example, he said a hawai chappal and a BMW car could not be taxed at the same rate. The finance minister also wondered why certain manufacturers have hiked the prices of small hybrid cars even though the duty has been reduced. He added that a hybrid car is priced higher and those who buy it can afford to pay a little more. He said one of the GST objectives is to assist domestic products and the government does not want to just allow cheap foreign products to come in. Jaitley said the passage of the bills will ensure greater economic integration of the state with rest of the country. He asserted that special status of Jammu and Kashmir was “never meant to create economic impediment” as he maintained that the GST is in the larger interest of traders and consumers of J&K. Jaitley said it was a positive step that J&K has been integrated with GST and the dream of one tax regime is now met, hitting out at the Congress party for its reported claim that GST would infringe upon the special status of J&K. “If they (J&K) didn’t integrate, the traders would not have got input credit and the tax on final products would have been higher… That would have made products costlier and consumers would have to pay more,” the minister said. “J&K is a consumer state and GST being a destinationbased tax, revenues of the state would increase.” He added that if GST was not put in place in J&K, then customers would prefer to buy products like cars and refrigerators from outside the state.